Professional Jazz Vocalist. Performed professionally since university, and has collaborated with various musicians. 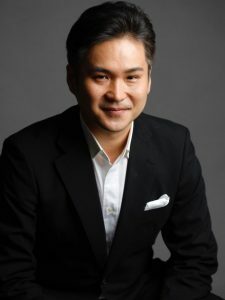 Instructor of the Popular department and Music and Ballet classes at the Showa University of Music since 2005. Especially known for carrying out large scale stages often with Jazz big bands, and continues to perform live across the country. The recent Dinner shows in Tama Keio Plaza Hotel and Shinjuku have been very successful. 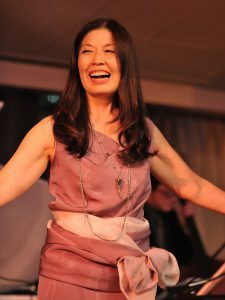 With “Never Retire” as a motto, started the “Jazz Vocalist Society of Japan” in 2015. Aims to help the growth of the entire Japanese Jazz vocalists community. Chorus director, singer and instructor. Has been teaching singing at “Yamaha’s Music School for Adults” for almost 25 years. Leader of “Vorchestra Japan”. Pursues the possibility of vocal chorus, and hosts many concerts. In 2012 and 2015, he lead two open recruit gospel choruses at the Carnegie hall, both resulting in a standing ovation. 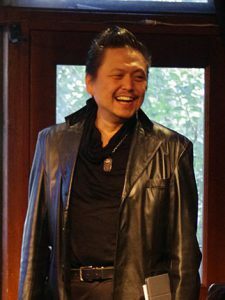 Also the director of gospel choir “Japan Joyful Vox”, and teaches Jazz and Pops at the Showa University of Music and Shobi University. Chorus Conductor. Alongside teaching various choruses, is also involved in creating tracks for movies and televisions, operas, orchestras and chorus directions. Was responsible for conducting the chorus at 2011’s “Jo Hisaishi’s 3.11 revival concert”, 2012 and 2015’s “Musashi Murayama civic chorus -Symphony No. 9-”, and 2016’s “Legend of Zelda 30th anniversary concert”. Directed the 5000 persons Symphony No. 9 chorus at the Kokugikan.